Disclosure: I was provided with products in return for my honest opinions. Your views may differ from mine! Thank you! http://knowledgequestmaps.com/ is a good online source of educational materials, to make any student's understanding easier and more fun. 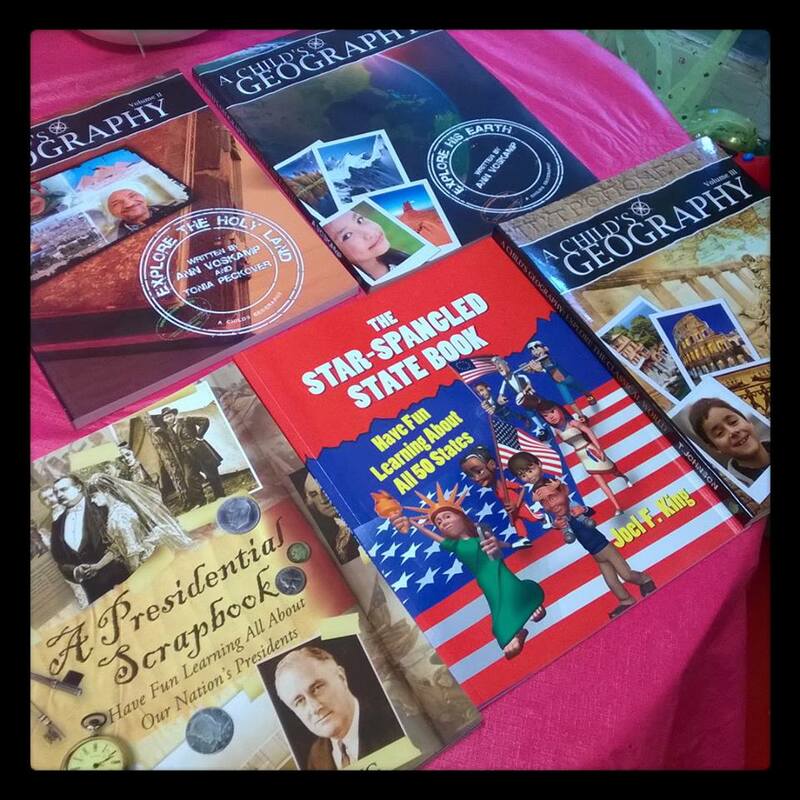 I home school my 2 youngest children and the more resources I have at my fingertips, the better and these particular books are easy for me to follow and explain well to the children the subjects for which they teach. They come with workbook CD-ROMs, to further enhance the process for great results! I have 3 select Geography books for children, with volumes I through III, which look at the Middle East, the "Classical" world and the Earth as a whole. These are books which can start a child's interest in geography and our world, with interesting insights and bare a curriculum both of their own and complimentary to one another, with hundreds of pages and a CD-ROM with printable learning resources and more, too! Brimming with information on 50 states, The Star-Spangled State Book allows me to explore the U.S.A with my children through its 80 pages and 36 week curriculum, inclusive of quizzes and a CD-ROM. Rich in information and presentation, this is a great font of knowledge for every student! A Presidential Scrapbook is another very useful, up-to-date, resource full of facts about the nation's presidents from General George Washington through to Barack Obama! With information on the nations history via its presidents, this is a handy tool to guide your children through time and to experience the last couple of hundred years in their own home through this text, which also includes quizzes to test your knowledge at the end! These books, and more, can be found at Knowledge Quest Maps, along with other viable resources for the education of future generations - or even to brush up on your own! A perfect accompaniment to my own personal homeschooling needs and a perfect fit for under the Christmas tree this year for anyone looking for a gift that is both fun and educational at the same time! Here is a short video on what exactly Knowledge Quest Maps have to offer you and I think you'll find them a breath of fresh air! Follow Knowledge Quest on social media such as Twitter and Facebook as well as at their afformentioned website, for more information! Check out Mom's Gone Bronson's Holiday Gift Guide with #MGBHGG and at the tab, above! Thank you!